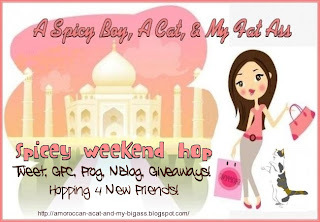 Hi there, I'm your newest Follower & Facebook Liker from Hoppin Weekend! What an exciting looking blog this is, wow! And I see you have your own blog hop going on too. I love your blog hop button - I'm joining in and posting it up. I hope you'll come visit my blog and follow me too, since I'm now following you. Thanks! Smiles. I have a bunch of giveaways going, and lots more to come! I also have an event called "Made With Love" that I'm accepting sponsors for if you happen to make hand made products! Check the tab on my blog for more info! How exciting to stop by and find that I am the featured blog of the week - thank you so much! I am participating in a fabulous event called One World One Heart that is designed to connect bloggers aroundt he world. 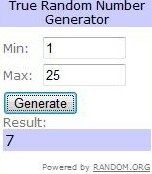 Each participant is offering visitors to their blog the chance to win a special prize. So, be sure to stop by this week and leave a comment on my OWOH post before 2/17 for a chance to win a very special gift from me. Wow.. this is an amazing hop. Thanks so much for hosting. Oh, I see you're a cat lady. That's cool because I'm a cat myself. I have my own online cat cartoon series and I also play in movies and music videos from time to time. I'm also proud to be your newest follower. A big meow and many purrrrs for you today. Hi, I just signed up as a follower. I'm giving away an autographed copy of the supernatural thriller Drowned Sorrow on my blog. If you follow me back before Monday and leave a comment on my latest post, you will automatically have a chance to win. Drowned Sorrow has been called "the scariest book of the year" and it's the story of a remote village where water has become a supernatural element that can think and kill. If you're interested, my contest is open internationally and can be found here: Follower Love Giveaway Hop - Win An Autographed Copy Of Drowned Sorrow.